There is a reason for every celebration. From a baby shower celebrating the anticipation of new life and love to a graduation bash celebrating the years of hard work and an infinite future ahead. Plus, just about every other celebrating reason in between. We celebrate because we have an innate need to mark a special occasion. We celebrate to gather significant people in our lives. We celebrate because we love. Celebrations can look and feel a variety of ways, but each celebration should include a special personalized touch. 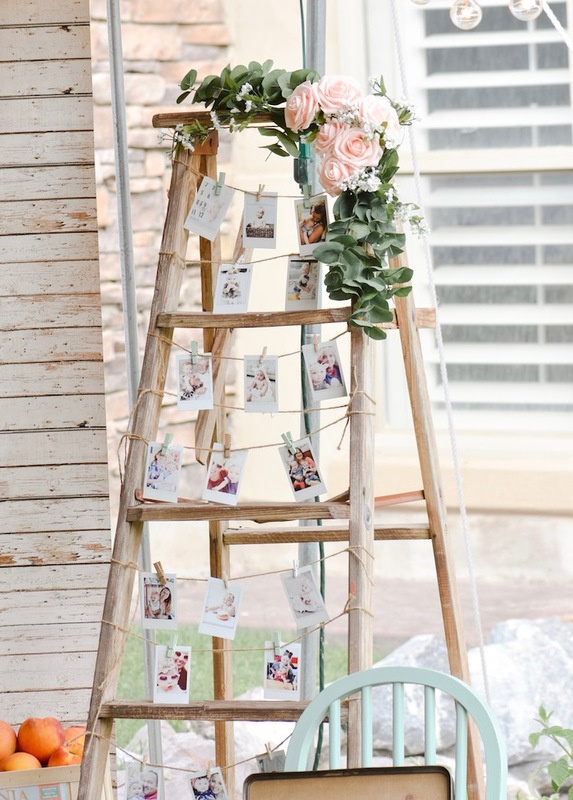 Something to make the guest of honor feel known, seen and loved. Don’t forget something to help the invitees get excited about the upcoming bash. As an Evite® Influencer, I am always thrilled to present the items, ideas, and inspiration that is found with my friends at Evite®. Evite® helps making coming together effortless and more memorable. 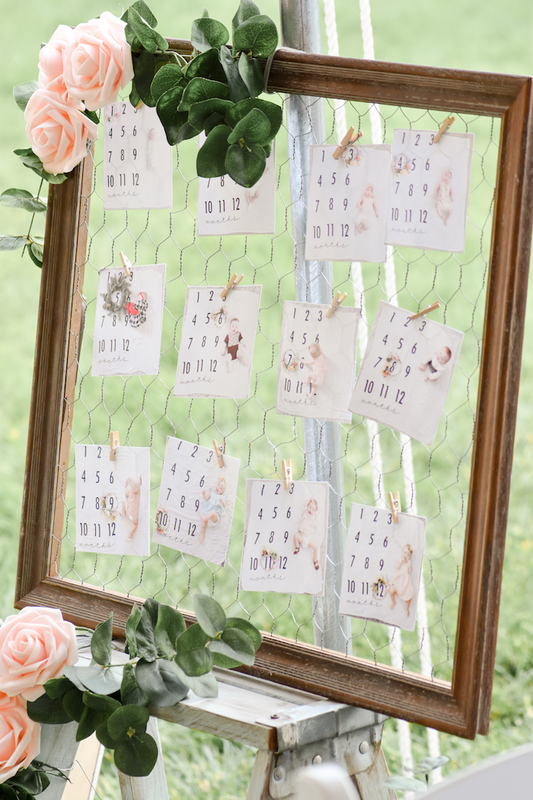 Today I am sharing the personalized touches that I created for my daughters 1st birthday party. 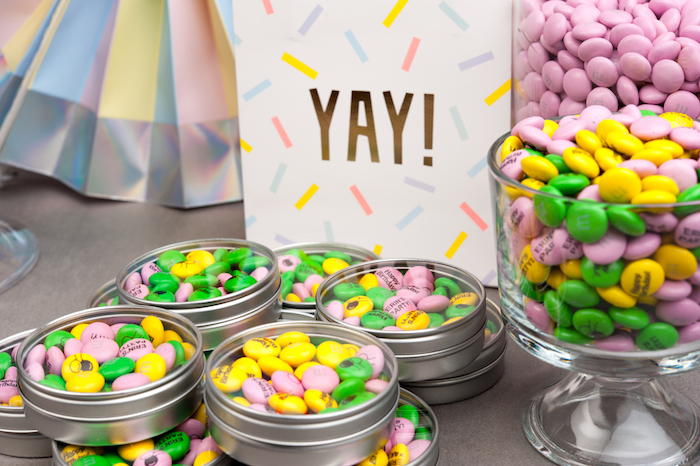 Plus, at the end of the blog post, you can find links to enter the Sweet Birthday Sweepstakes that offers a chance to win $500 to spend on personalized My M&M’S®!! For this 1st birthday celebration, I added personalized touches by using photos of the guest of honor. 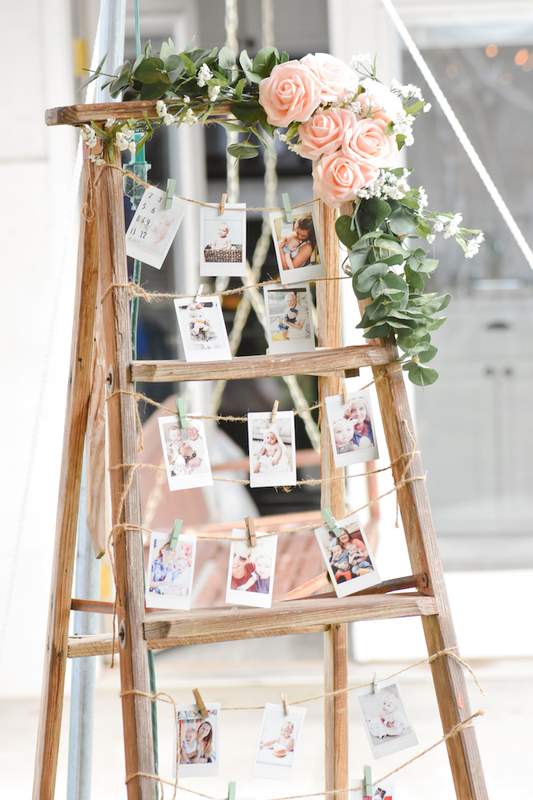 I displayed these photos of her on a vintage ladder. Additionally, I used a frame showcasing photos of each month of her life. Isn’t it simplistically beautiful? 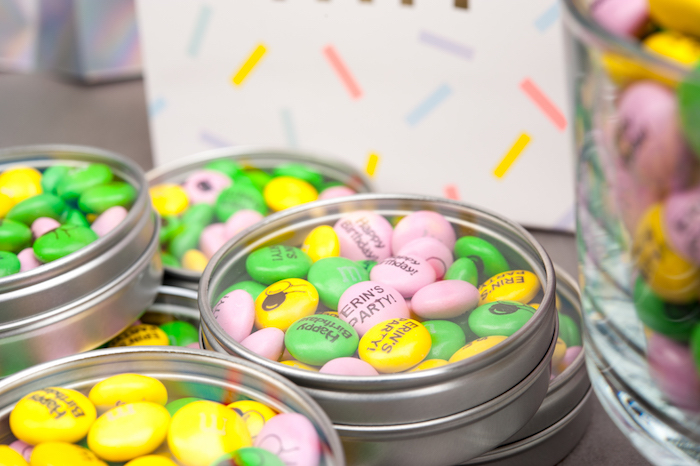 Another unique and delicious way to personalize a party is by using personalized My M&M’S®. 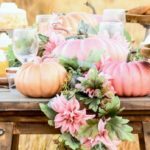 You can fill apothecary jars and provide small bags and scoops for guests to fill their own favor bags, or you can purchase clear-lidded tins and fill them with the personalized candies. These are just two ways of many that you can combine your love of the guest of honor with the love of chocolate! And, finally, how darling is this Donut themed party invitation from Evite®?! It gives all the necessary information for my invited guests, plus a fun little teaser for the theme of the celebration. The most exciting part of an Evite® invitation is the amount of time it saves! Now that you have some inspiration brewing in your mind, it’s time to enter the Sweet Birthday Sweepstakes to win prizes for a birthday celebration of your own! This post has been sponsored by Evite®. Love this. Just looking for 1st birthday ideas and love that donut invite. thanks kara! 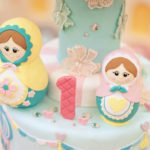 First i would like you to congratulate your little princess on their very 1st birthday, really like this presentation especially Sweet Birthday Sweepstakes.